The hilarious Baba Harare, real name Braveman Chizvino Mawanza charmed many revellers in Guruve and Centenary, Mashonaland Central respectively over the weekend. The energetic performer left Guruve fans clamouring for more traditional dance "jiti" after playing his hit song "The Reason Why" at Chivavaya night club on Friday. Saturday he took his City Vibration band to club Changaz where he had a torrid time in playing his latest album Munamato yaRasta with songs like The Reason Why, Banana and Usasiye Zvinonaka (Guzuzu) making the day for the fans. Club changaz owner Zacharia Five could not contain his happiness as he also took to the stage to sample a little bit of jiti. City Vibrations band manager Fildah Muchabaiwa expressed optimism in the industry saying they are aiming high. "We mean serious business this week we were in Mashonaland Central Guruve and Centenary we are hoping to go round the country meeting our fans since we are here to stay," she said. 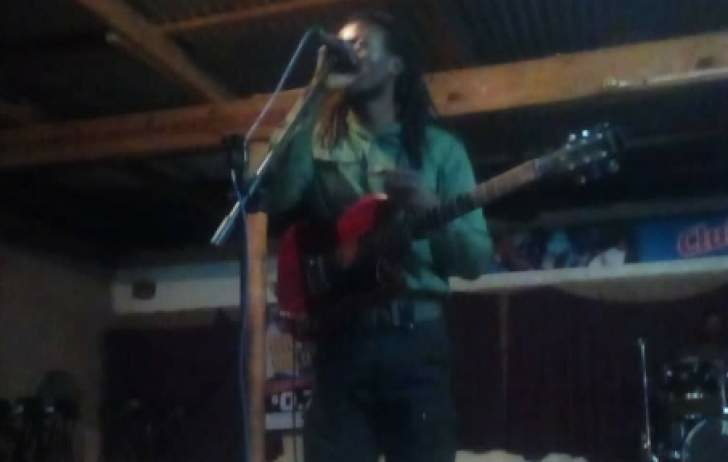 Baba Harare did not disappoint on stage as he spent the more than eight hours on stage in both Guruve and Centenary he also sampled new tracks chief among them Satan Adzingwa kudenga which stole the hearts of many.